The Roustabouts are long time Helstonbury heros. 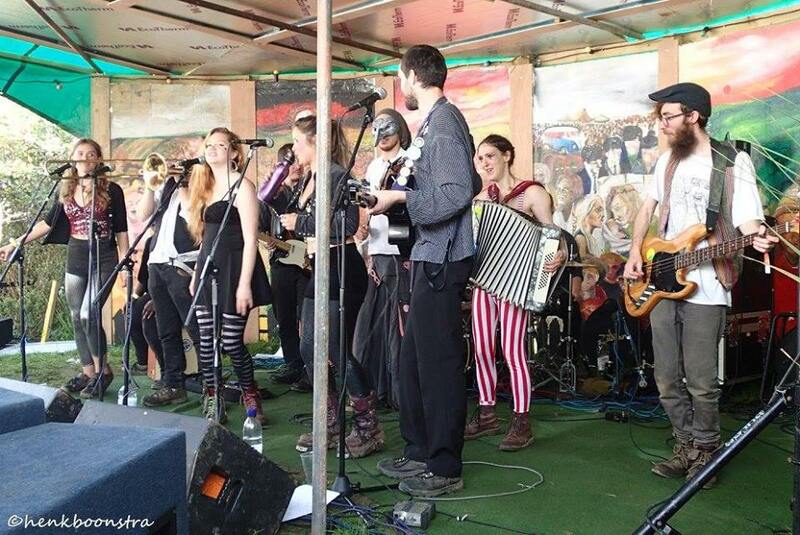 They describe themselves as a “gypsy cabaret collective of musicians and performers” and their set includes Gypsy, Folk, Punk, Swing and Cabaret. Based in Falmouth but playing across the South West as well as in London, Cheshire and Hampshire their set provides both “sonic excitement and visual astonishment”.